Pay attention to the dimension. This faucet is a little big. 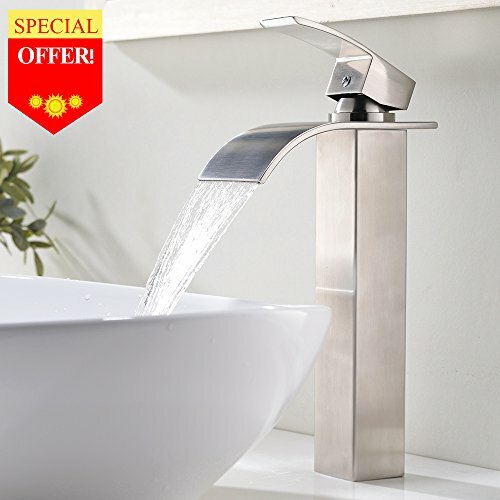 Overall height:12.2"; Spout Height:8.86"; Spout Reach:4.92" ; Body width:1.97". Brushed Nickel Finished And Solid Brass Construction: resist scratches and corrosion. 90-day return money back guaranteed and lifetime free replacement :email us, we will respond in 24 hours. If you have any questions about this product by VESLA HOME, contact us by completing and submitting the form below. If you are looking for a specif part number, please include it with your message.